Enter 1 word or entire dream HERE..
Free Dream Dictionary of 7,000+ dream symbols for INSTANT EXPERT Dream Interpretations! DREAM EXPERT LAURI LOEWENBERG: I created this site so you could quickly find out what your dream means using my dream dictionary of over 7,000 dream symbol definitions. Enter in one dream symbol or your entire dream to instantly interpret the meaning of your dream. I wrote every word so it's like having a virtual dream expert right next to you interpreting your dream for you. Bookmark this site now so when you have another dream that makes you wonder or worry you can come back and quickly find out what your dream means. Dream Expert Lauri Loewenberg has been featured on numerous national TV shows and over 10,000 radio interviews! Dr. Oz, The Katie Couric Show, The Steve Harvey Show, The View, Good Morning America, The Today Show, the Bethenny Show, Anderson Cooper 360, Fox News, OVER 10,000+ radio interviews, Cosmo, Glamour, Esquire, Maxim, Woman's Day and much much more! 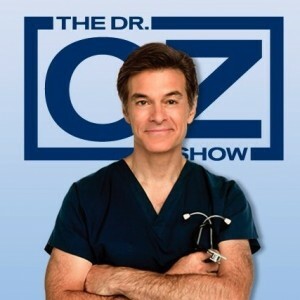 DR OZ: I'll tell you (your dream recall tips) were very impactful for me.I wanted to see if they would work for me so the other night I did all the things you talked about... and then when I awakened in the morning, I remembered my dreams. STEVE HARVEY: Thanks for coming back on the show!If you want to find out what your dreams mean for free, check out her site WhatYourDreamMeans.com! Rihanna: Rihanna had dream expert Lauri Loewenberg interpret her dream on the radio.Wow Lauri, you’re good! Allison, Portland, OR: I had a dream last night that I couldn't figure out. After putting it into your website and getting the interpretation, what fabulous and exciting insights I gained! Almost made me cry! So, thank you. This is a valuable tool to my soul. Dr. Sanjay Gupta, CNN: Dream expert Lauri Loewenberg is in high demand these days because she has struck a nerve in the American psyche by giving us giving meaning to our dreams. Campell Brown the TODAY show: Very interesting, I love how you make sense out the dreaming mind! Great stuff here ! We must have you back. Margareta Hagglund, Journalist Stockholm, Sweden: Using this site has really changed my life. Finding out what my dreams are telling me is like a Christmas gift to open. My dreams have became tools for me to understand my life and to change it – to the better. Understanding Your Dreams is like Having a Psychic for Free to Guide You Through Life's Challenges! Trust me, when you understand what your dream means you gain a powerful self help tool that will guide you in all aspects of your life, from personal and work relationships decisions to ideas and inspiration to achieve your goals and wildest dreams. It's been proven that people who are in recovery that use dream analysis as part of their treatment have a much higher chance of staying in recovery for longer than those who ignore their dreams.